The Google Drive SDK has only been available since April, but there's already a new update on the horizon. Version 2 of the SDK, which has just been announced by Google, now includes full mobile support for both Android and iOS apps, allowing mobile apps to read and write directly to Google Drive. Android Drive users will also be able to choose from a list of supported applications when opening a file from Drive, allowing them to edit files on the go using either a phone or tablet. In addition to this, the new API has added a number of methods that were previously unavailable to developers, such as the ability to list and search files, convert between formats and share files with other users. These changes will only encourage more developers to make their apps Drive compatible, so it will be interesting to see support increase over the coming months. 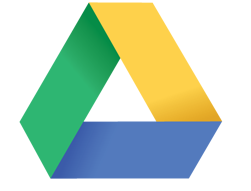 Developers can view the full documentation for Google Drive over on the Developers website.